Speaking at FIREX 2018, Brian Gregory from Safety Management UK told delegates that “somebody needs to stand up and do something different” following the publication of Dame Judith Hackitt’s independent review of building regulations and fire safety. I believe Dame Judith got a lot right,” he told delegates at the event. “It’s about how cheap we can get the job done. It doesn’t matter where you come from. Everybody has looked to cut corners and save money. “That’s why the culture needs to change. Dame Judith talked about a lack of leadership from the enforcement authority,” added Mr Gregory. “That’s probably fair. “There needs to be clarity and it comes from people standing up and saying these are the rules. But everybody keeps shying away from that. One of the key recommendations in Dame Judith’s report was for a Joint Competency Authority, which will have a wider role around addressing systemic issues around culture and behaviours. 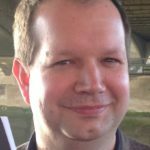 But having worked for one of those agencies in the past, Mr Gregory said he would be “amazed if they come together and have one unified voice”. “If they do it will take a long time,” he commented. He also criticised the role that procurement has played in the “race to the bottom” of standards. “We are being asked for solid gold fire risk assessments, but at bronze prices and paid in 90 days. If we are going to provide solid gold fire risk assessments, Type 4 fire risk assessments and fire door surveys which look at each door properly, then we are going to have to charge for that. Someone will have to accept this will all cost money. Mr Gregory also said there was currently a shortage of fire risk assessors in the UK and the industry needs to find a way of attracting and training new people as demand for assessments continues to grow. FIREX was running alongside Safety and Health Expo. For more content from the event, click here. It is now one year since 72 people lost their lives in the Grenfell Tower fire, a shocking and harrowing event which has caused a series of searching questions to be asked about our society and in particular our relationship to fire safety in buildings. In May of this year, Dame Judith Hackitt published an independent review entitled “Building a Safer Future” which looked at Building Regulation and Fire Safety systems focussing on high-rise residential buildings. The report was extremely hard-hitting, pointing out ignorance, systemic failings, indifference and lack of regulatory enforcement. It was wide-ranging – looking at design and construction through to procurement and supply. In this webinar, Dame Judith will describe her findings and answer questions about the review. 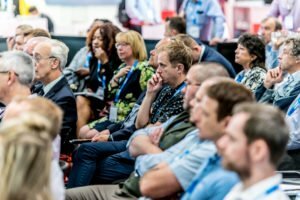 Fire risk assessment sector must undergo cultural change in wake of Hackitt report, says safety expert Speaking at FIREX 2018, Brian Gregory from Safety Management UK told delegates that “somebody needs to stand up and do something different” following the publication of Dame Judith Hackitt’s independent review of building regulations and fire safety.